Opening Inline Bob at the Nürburgring now. Hello and a nice day everyone. 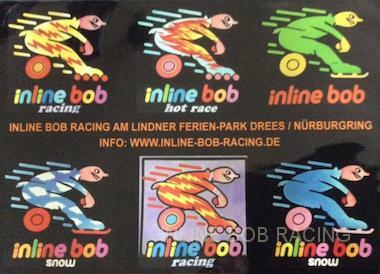 There are how Inline Bob works. Some questions more call me under 0049 172 655 3045 Hugo is on the Phone now. Enjoy your holidays, good weather, when you need us , we are here to serve you for on unforgettable hours. Booking by Lindner Ferien-Park Drees on the Nürburgring. Thank you for your visit , and interest in our inline Bob Sport System on the PROWINTER exhibition in Bolzano in 2016. The interest of the visitors in the rental business was very big worldwide. The minimum order is 10 Inline Bobs. The package includes the following products in order to successfully operate inline Bob. Future. 10 Inline Bob with stainless steel frame made of steel 1. 4301 with 20 years warranty. Each 5 Bobs receive a Ral color. Vehicles of all kinds. 10 Stackable seat tonnes). Optional there are short skis for switch for winter operation. 30 Route hat made of plastic for routes Deco. The Bob is equipped with the best components for a long Life. Only the very best material giving to buy it been used on Inline Bob. We are proud our product.Also we supply our coustomers with exclusive Inline Bob merchandise article. We would be pleased to welcome you as a new customer.